Setting an Oscar up on the mantel may be prestigious for some, but taking home a Louie – our freshly coined knockoff constructed from papier-mâchéd Lanthorns – that really means something. Or nothing. Probably nothing, but that's never stopped us before. Our categories for the 2014 athletic year include best costume design, best male and female athlete in a supporting role, best male and female athlete, best director, best picture (best moment) and best feature (best story, season etc.). No posh, no designer clothes, no special effects – just the best the 2014 athletic season at Grand Valley State University that was had to offer. Let the nominations begin. PB: I made the near fatal mistake of presuming the Oscars began at 7:30 p.m. on Sunday, Jay. If everyone else did the same and watched as Ozzy's daughter and Lamar Odom's ex mercilessly critiqued runway fashion, then it's no wonder ratings were down 16 percent. JB: My fellow communications capstone classmates thoroughly debated this year's extravaganza, although I must admit I wasn't able to keep pace. Believe it or not, this 24-year-old hippie doesn't even have basic channels hooked up at his place of residence. What's worse is I'm not entirely sure what the difference between an Oscar and a Grammy is. I heard Chris "Birdman" Anderson from the Miami Heat won something, though (unless they were referring to the rapper?). I know a thing or two about GVSU Athletics, however, so roll out the red carpet because I'm in the mood for some banter. PB: Cable is overrated. Streaming and Birdmen? Not so much. If ever Chris Anderson and Bryan Williams should decide to put on a freestyle exhibition together, you better believe someway, somehow, I'll watch it live, even it means sitting through verses from Weezy, Michael Keaton and a flock of ornithologists. How's your eye for fashion, Jay? JB: Pretty sure I've worn the same jeans to every class this semester, and I only own one coat (the other was stolen from me on New Year's Eve, I think). Needless to say I'm not too observant when it comes to fashion or which celebrity wore what better – but I know a star athlete at the NCAA Division II level when I see one. That's all the rage these days, right? PB: I'm sure those high-brow dressers with more than one pair of jeans would be more qualified to weigh in on the matter than you or I, but I have observed over the years that GVSU often comes correct with what it wears. Political concerns with Adidas aside, I'm especially partial to those powder blue football throwbacks. That's my pick for best costume. JB: Might not be the "Oregon" of DII, but GVSU threads some solid alternates. Last spring, the baseball and softball teams rolled out camouflage unis, which warrant consideration, but this one isn't close. The football team hammered Wayne State on Homecoming, holding the Warriors to 132 total yards of offense. I think we all know why. Powder power. 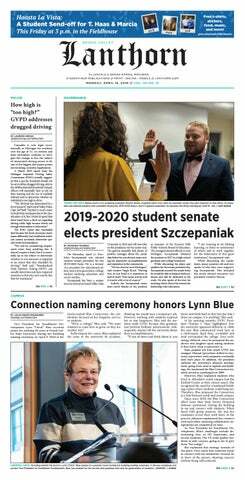 PB: We talk about the stars – of which there are many at GVSU – often throughout the year in our stories, Jay, but when there's such an embarrassment of riches to choose from, inevitably some deserving candidates go unnoticed. Their stories remain untold. There are defensive cornerstones on the Laker football team like Jack Sauber, Brad Horling and Matt Judon, GVSU goalkeeper Andrea Strauss, Kristen Hixson's pole-vault understudy Jenn Schornak and the list goes on and on. Who should the Louie for best male and female athlete in a supporting role go to? JB: Athletes who play hurt like point guard Darren Kapustka or just about anyone on the 2014 football roster are worthy candidates, as are some of those names you brought up. Judon is an absolute freak at defensive end – but I'm going same team, different player: senior nickel Deonte' Hurst. Anyone who watched GVSU consistently this year knows why. Led the team in tackles for the second year in a row and made plays game in and game out. On the women's side, I'm saying junior forward Katie Bounds, a reserve. I'm not sure the women's soccer team wins the national championship without her. PB: GVSU women's soccer doesn't win the title two years ago without Bounds. They also don't win either title without Marti Corby or Jenny Shaba. Softball player Lauren Gevaart was a great story, returning to the mound after a long hiatus, but Hixson was ridiculously, ridiculously good. Olympic trials good. She's my pick for female athlete of the year. JB: This is the toughest Louie of them all. I'd honestly have a hard time narrowing the list of nominees to 10. Volleyball player Kaitlyn Wolters is one of them. So are cross country runners Kendra Foley and Jess Janecke, who finished first and second in the nation, respectively. But what about all the marquee names on the soccer team? Can't count them out. Not to mention what might be the most dynamic duo in DII golf, Kelly Hartigan and Gabrielle Shipley. Feature twirler Moriah Muscaro absolutely gets a nomination, as well. But with all that being said – it's Hixson. She's a legend. The men's conversation is a little easier. We talked about him last week, but two-sport star Jamie Potts deserves a look. So does senior running back Chris Robinson, who broke the GVSU single-game record with 261 rushing yards in a win at Findlay (dude only talked about his offensive line after the game, too, for what it's worth). Or there's GVSU's all-time leader in home runs, Giancarlo Brugnoni. I'm a bit biased, however, because I covered those teams. This one's on you, Pistol Pete. PB: I grabbed Chris Robinson for some quotes the week before he broke the single-game record and reminisced back on his prolific high school career at Ovid-Elsie. He's top 10 in the state in most meaningful career and season rushing records, but his most notable commentary on the matter was that he still wanted to get back home at some point to treat his O-line to a steak dinner. He's a class act that's put together a solid a career here and would be a great pick – same goes for Brugnoni, pitcher Aaron Jensen and guard Ryan Sabin – but it was Potts that helped Muskegon Oakridge beat Robinson and Ovid-Elsie in the 2009 Division 5 state title game, and it's Potts that should win this award. A high school quarterback and a tremendous all-American kid both in plaudit and demeanor, Potts passed up bigger offers at bigger schools to play two sports at GVSU, and he's excelled at both baseball and football. He won a gold glove from corner outfielder as he led the GLIAC in batting average (.412) and has been GVSU's most explosive, prolific and consistent receiving threat the past two years. It doesn't hurt that he has legitimate prospects of hanging around in the minors. JB: Can't argue with that, but the debate for best director is a two-coach race in my mind – track and field and cross country coach Jerry Baltes and first-year women's soccer coach Jeff Hosler. Both guided GVSU to national championships on the same day last December in Louisville, Ky. Admittedly flawed logic here, but, since we agreed to put Baltes on GVSU's Mount Rushmore last week, let's go with Hosler. For me, the best moment and best feature awards should be given to nominees who also celebrated the aforementioned championships. The best moment is, hands down, GVSU's 1-2-3 finish at the women's cross country championship. Foley, Janecke and Allyson Winchester blew a lot of minds when they trotted over the mud-covered "green carpet" and across the finish line that day – mine included. The best feature goes to goalkeeper Andrea Strauss. From club goalie to varsity goalie, she carried GVSU to a national title. And, like I mentioned last week, her shootout shutout in the Final Four was something to behold. Three straight saves on one of college soccer's biggest stages? I know I'd have to see it to believe it, but I did, and I certainly believe it. PB: I think that snowbirding south in the midst of Michigan winter is the best. There's green grass, sun, Waffle Houses and Chic-fil-As on every corner – just magic. It's even better when you get to watch the school you're covering put on a show while you're abroad. I wish I'd have been there in Kentucky, but you have my vote on all the above. Even on Hosler, who came right in without flinching when handed Dave DiIanni's gargantuan cleats. JB: Barrows and Bushen? More like Birdmen.